Smart Meters – Yay or Nay? Dana Christensen started this conversation regarding PGE smart meters and we put it to our Everything South City Facebook friends. It was quite a discussion with many weighing in with their opinions and many others agreeing with various ideas. Here is part of this discussion taken from our Facebook page so we can continue this conversation with others. Some say they are not green, or private, or healthy or safe- or Smart! Others say they help them be aware of power usage. What is your experience? 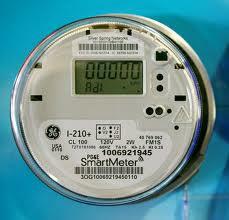 What do you think of the smart meters; yay or nay? 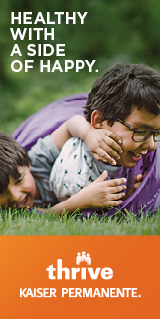 Janel M Chrestenson Pearson: My gas bill is fine. My electric bill is OFF THE CHARTS. Hot tub jacks me up $50 or more per month. Thank God everything in my house than can be gas is gas run. I’m running $175 to $200/mo now and it just turned DST. What is sucking my power? Hot tub has been OFF! Carey Wykoff: My bill has gone WAY up since the new stupid meter. I hate them. Monica Burke: PGE will charge you $75 plus $10.00 per month to keep your old meter..You can delay them for a while but not forever..
Steve Carey: Think about how much PG&E spends (and consequently must charge you) to keep track of energy use, send out bills, collect the money and account for everything. Why not just charge one flat rate for most residential uses? Average out customer usage, subtract the expense to meter out the units and your bill should be much less than it is today. You get charged by the month, and not by the second for unit usage. How difficult is it to figure out something as simple as that? Frank Poncherello: Steve, because I put in florescent bulbs, an energy saver fridge and make sure to turn off lights when I leave the room. Why should I pay for those who don’t give a cr*p about the environment? Steve Carey: Everyone has done all of that power saving stuff. It would be very simple to find an average price for an area and then subtract all of the administrative costs from that. PG&E charges us to hire someone to send us a bill. Doesn’t that seem a little silly? Moserod OSe: more people unemployed and more people complaining of their bills going up. Also when you call PGE you wait longer for service. Don’t seem to be improving anything but their bottom line. Richard Gatmaitan: City of Sebastopol banned Smart Meters from being installed here in town but PG&E is ignoring the ban……. just keep in mind that Sebastopol pretty much protests everything, lol……. Marie Acri-Taniguchi: My bill skyrocketed ever since we got the meter… Hate it! Christina Holzman-St Louis: PG&E is still bending everyone over huh? Glad I don’t have to deal with them ever again! Ricardo Valdez Jr.: People just flick a switch, and lights come on, it isn’t cheap to run all the transmission lines and distribution, people work day and night sometimes to keep power on and the price people pay for that is minimal! Moserod OSe: Yes I know this. I have been around long enough and have seen service constantly getting worse. Used to when you called about a gas leak they sent someone out right away, now they ask how bad it is. Tane’ Maire: Time to go solar? Moserod OSe: I wish we could afford it. Other thought is. Do we get enough sun where we live? Tane’ Maire: Hmm, that is an interesting question. Not sure if solar works on UV rays or actual sunshine. If it’s the UV rays, then it should work even in the fog/overcastness. Everything South City: Look at our schools with solar panels now. Victoria Monroe: PG&E scheduled ours, and we’ve had no problems, no increases. Ernie Beem: Just a way to put meter readers out of work! Frank Poncherello: I love mine. I prefer it to having the meter reader traipse over my lawn and enjoy seeing my real-time power and gas usage. Tech FTW!